We covered the 2017 Samsung Galaxy A7 quite extensively after its launch, with a look at its new IP68 capability and the 7 upgrades since the 2016 model. But there is nothing like a full review, and that’s what we are proud to share with you today – our comprehensive review of the 2017 Samsung Galaxy A7 (SM-A720F) smartphone! Here are the 2017 Samsung Galaxy A7 specifications, compared against the 2016 model. The 2017 Samsung Galaxy A7 comes in the ubiquitous white Samsung cardboard box. Not as fancy as the Samsung Galaxy S7 edge‘s classy black box, but hey, it’s a completely different segment. 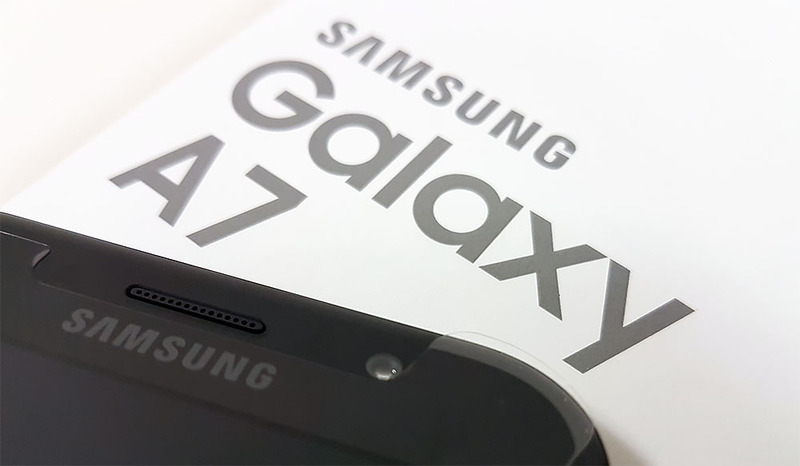 Watch us unbox the 2017 Samsung Galaxy A7 in this video, and look at what we found inside! Next : The Lenovo Legion Y720 & Y520 Gaming Laptops Revealed!